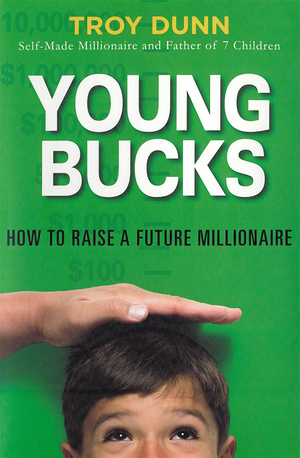 Young Bucks: How to Raise a Future Millionaire is on the cusp of an important new way of understanding how we earn, keep, and spend money. It is a straightforward, practical, and entertaining manual that debunks a number of parenting myths that work against financial independence, such as allowances. This book also teaches parents how to identify the entrepreneurial skills that, to some degree, every child has and guides them to strengthen those skills. A self-made millionaire and father of seven, Troy Dunn gives you practical templates for easy, kid-friendly businesses that you can introduce to your children so that they can start earning their own money quickly. Young Buck$ includes everything Dunn has learned during his very successful business career as an entrepreneur and in his work with thousands of young people seeking business guidance. It features chapters on age-appropriate, step-by-step action plans for you to help your children find and implement great money-making ideas. Additional chapters explain what schemes you should avoid, how to spot business scams, why lotteries are a terrible place to put your money, why it's good for kids to invest in the stock market, and practical advice on the legal aspects of owning a business.